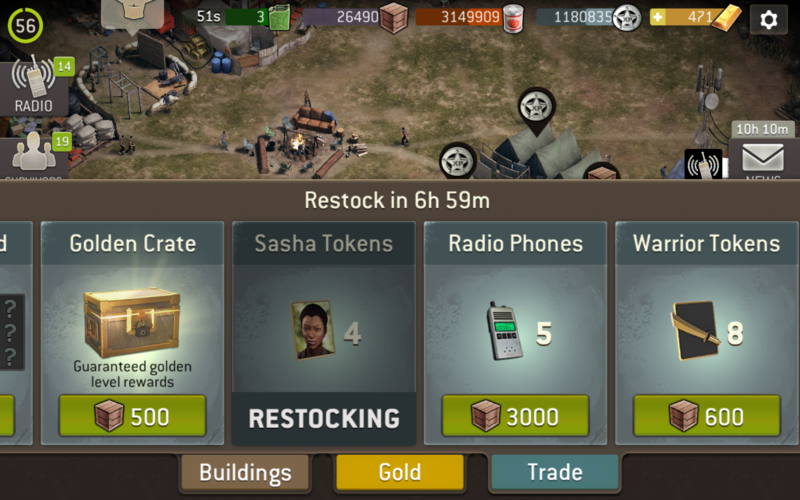 Has the Trade Shop 5 phone for 3kTG been removed? I've noticed that in the past week or two that I have not seen an offer for 5 phone for the 3k trade grades. Instead I am always getting either epic trade crate (for 3k) or the legend trade crate (for 7.5k). Initially I thought it was just RNG but it has been at least 2 weeks since I've seen this offered in the trade shop. Has it been removed? I just got it 2 days in a row but before that I have seen it once in 2 weeks. I'm new so I'm not sure if something changed but it seems a bad RNG u have. still hasn't been removed. still in cycle. it will pop up again soon. I just got it this morning. It's still around, but the 30 phones for 10K TG option appears to have been removed. It disappeared before the special hero call event for me. I don't think removed was the right word rather it should be reduced or dramatically reduced. I used to get the 5 phones 2 out of 3 restocked and for the last 6-8 weeks i get the 5 phones about 3 times a week. The 30 phones hasn't been offered since before Christmas and many people including me have tried to bring this to everyone's attention so that people will voice their desire to see the 30 phone crate so NG hears us.